What is market analysis? 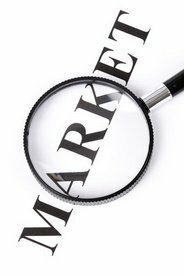 Market analysis is an assessment of an opportunity in a market; the needs of the target market; ideas for marketing a particular product or service. When should you conduct a market analysis? An analysis should be conducted when you are starting a business; when you are entering a new market; when you are considering a new product or service. Consider analysis to minimize business risks; understand the problems and opportunities; identify sales opportunities; plan your marketing/sales approach. Part 1 - Understanding Market Conditions? - This gives you information about the market (size, competition, customers). Part 2 - Identifying Market Opportunities? - This gives you more targeted information about potential problems and opportunities in the market, including information about growth, current and future trends, outside factors and specific competitors. Part 3 - Developing Market-Driven Strategies? - This helps you to pinpoint opportunities to grow your business. By understanding the market and knowing what opportunities are available. You can create a marketing strategy to rival your competitors. Here are 10 questions that can help you get started? 1. What is the market I want to reach? - What is their biggest need in relation to this market? - Are their needs being met by the products or services provided? 2. Who are my competitors in this market? - Are they successful in this market? - Are they marketing a similar product or service? - What is the market share of the three biggest competitors in the market? 3. Is there room for growth in this market? 4. What is the size of this market? - Is there room for growth? - Is the industry growing? Stable? Saturated? Volatile? Declining? 5. How is my product or service different from the competition? 6. How can I reach this market? - How is my competition currently reaching this market? - Is it the most effective way? - What are the alternative ways of reaching this market? 7. What are the business models of my competition in this market? - Is there a way to do it differently or better? 8. What do customers expect from this type of product or service? - What are the core competencies of this product or service? - What would make the product "new", "different" or "better" for the customer? 9. How much are customers willing to pay for this product or service? 10. What is our competitive advantage in this market? Knowing the answers to these questions will not only help you figure out if there is a market for your product or service, it will help you decide the best ways to reach your customers, and the best price for your product or service. See also the product research checklist, and the list of information sources to assist with your market analysis and product research.